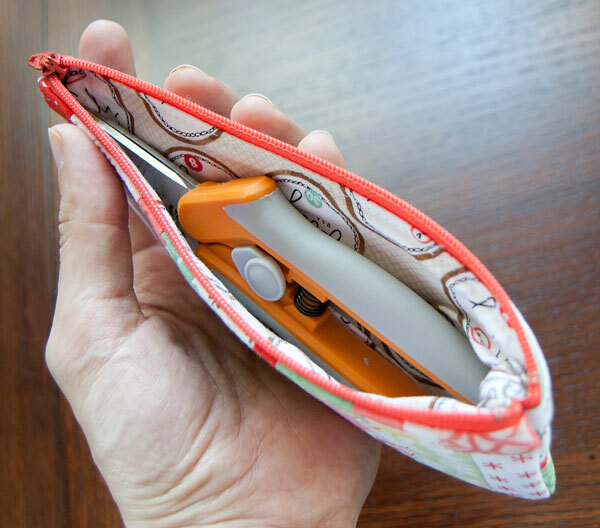 If you’re new to my 52 zippers project, you can read the backstory, see all the zipper pouches, and download basic zipper pouch instructions here. 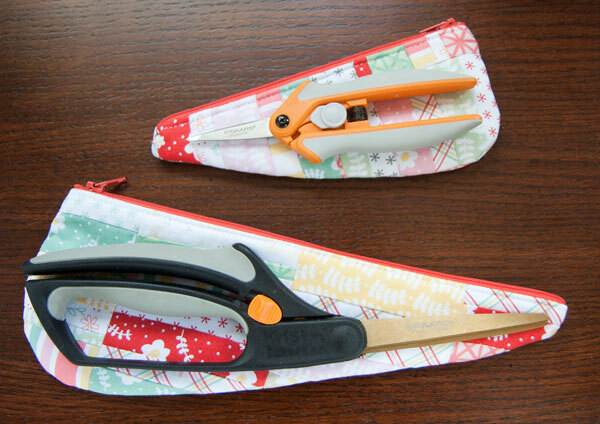 I have a Quilting retreat coming up and I thought, what better time than to make these Scissors cozies that I’ve been eyeing over at Sotak handmade… Only problem was that I have different scissors, so her templates didn’t work for mine. 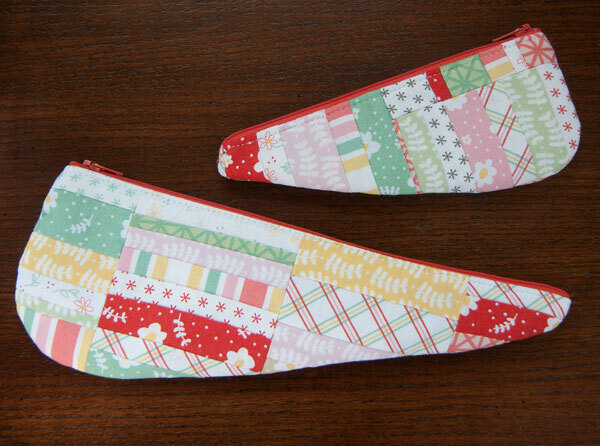 I decided to just wing it and made my own templates based on the basic shape of hers by tracing about 1/2″ to 3/4″ all the way around each of the two pairs of scissors that I wanted to make cozies for. I knew these would get a lot of use so I wanted to use some special fabric… This is Emma & Myrtle by Amanda Jean Nyberg (Crazy Mom Quilts). I decided to do kind of a scrappy thing because that definitely fit the fabric. I made the patchwork panels and then cut the template shapes out from the panel. So cute!! The larger case is definitely tight, so I maybe should have added more length to that template… But it still works. I lined it with the large spool print that I think is my favorite of the bundle. And the coral zippers just gave the perfect pop of color. 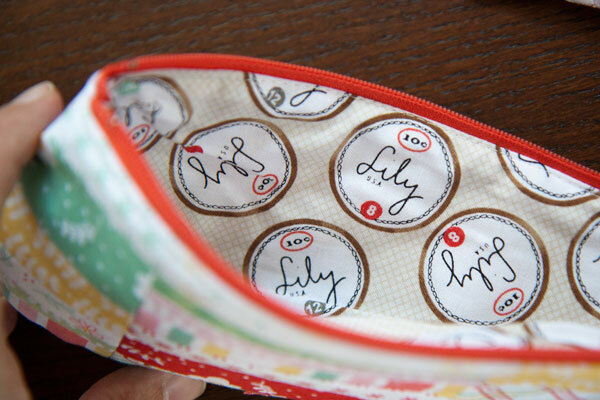 See you back here next time with another zip pouch! Get the best tips, links, and other goodies in my biweekly email newsletter! Copyright 2006-2019 Kristin Lawson | All rights reserved.